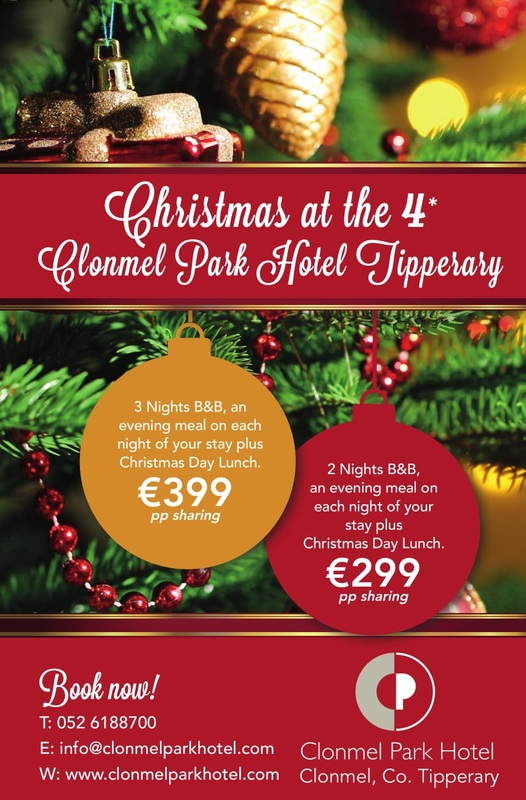 RING in a fun-filled festive Christmas in County Tipperary with a glass of bubbly, canapes and live music for all the family at the award-winning Clonmel Park Hotel. Prepared by a team of culinary experts and using only the very best of local ingredients, mouth-watering festive luncheon at Clonmel Park Hotel on Christmas day does not disappoint. 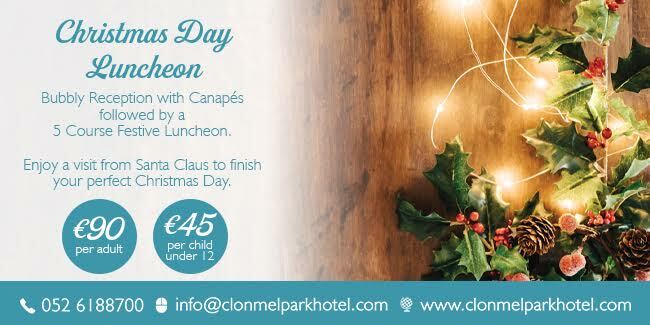 Devour Christmas day lunch for only €90 per adult and €45 per child under 12 years of age. Bookings are being taken for between 12.30pm and 3.30pm on Christmas day. Enjoy a visit from Santa Claus, followed by live music in the Wheat Bar at Clonmel Park Hotel to finish off your perfect Christmas day. 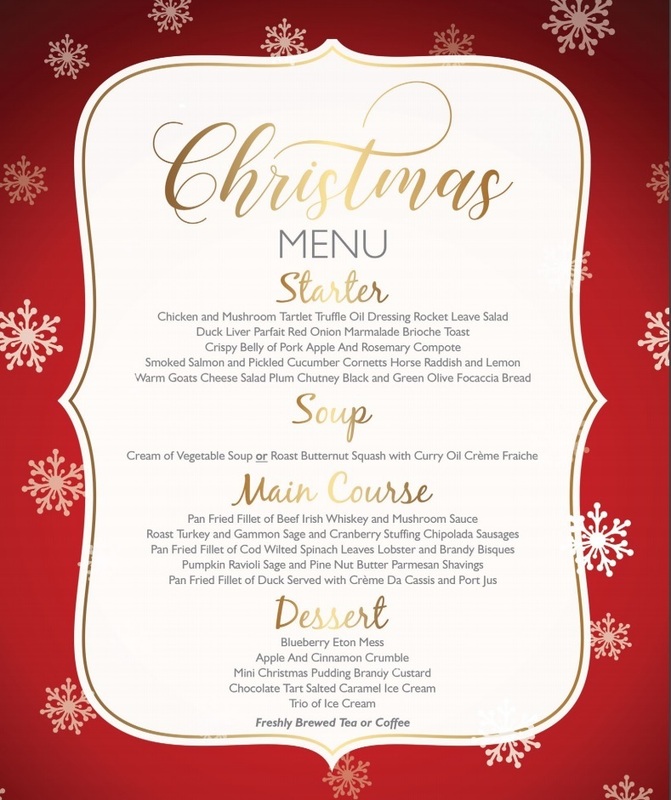 Christmas day lunch is very popular at Clonmel Park Hotel and is fully booked every year, so it is strongly recommended that you pre-book your table now. Full payment is required prior to Christmas day. To book your Christmas day luncheon, call the events team at Clonmel Park Hotel on 052-6188714 or email events@clonmelparkhotel.com. To book a Christmas breakaway at Clonmel Park Hotel, call the reservations team on 052-6188713 or email reservations@clonmelparkhotel.com.